you can read the first 2 parts of the hat to head series here and here. so. i promised tam talk this time, but instead i’m going to show you the mistake that i made and tell you how i might fix it. 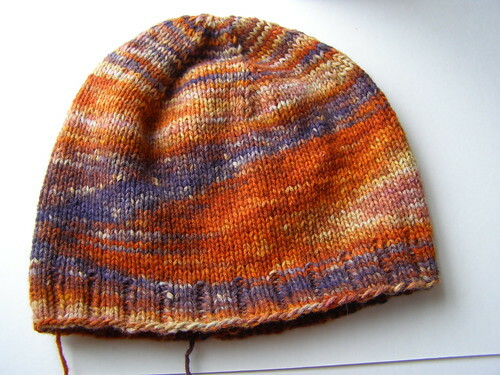 witness – i have finished the hat. but – the height of my hat is actually a bit too long. why? well… my row gauge was actually 8 sts/in (2.5 cm), not 7.5. doh! 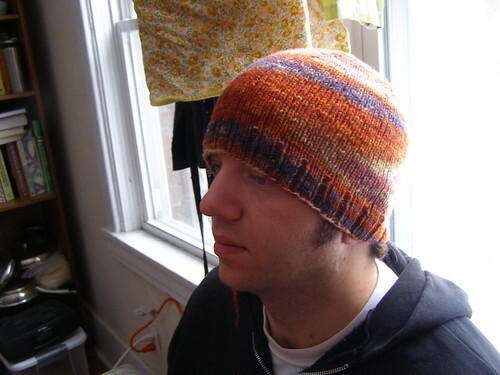 this hat, since i started knitting it, has become ben’s and he would like the hat a bit shorter. mind you, it does cover his ears here, but it seems a bit long, no? so, it is due for some surgery. you can see the original decreases in hat to head – part 2 – here. 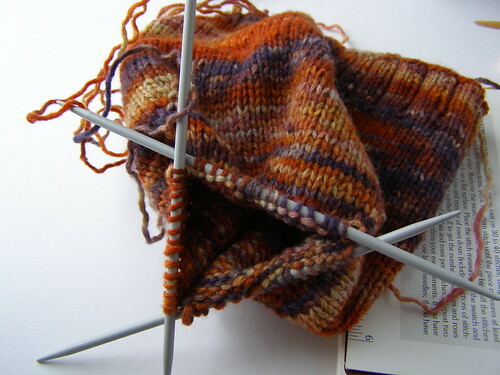 first, i ripped it back to row 16, 48 sts (8 sts per section) and start picking up the pace of the decrease there. i need to make the total hat .25 in. (.6 cm) less. so the new one should be 20 rows high rather than 22. this is not super precise, if i had made it 19 rows it would probably have still been okay, but we’ll be exact and go for 20.
p.s. here’s the pattern link on ravelry for this tutorial. 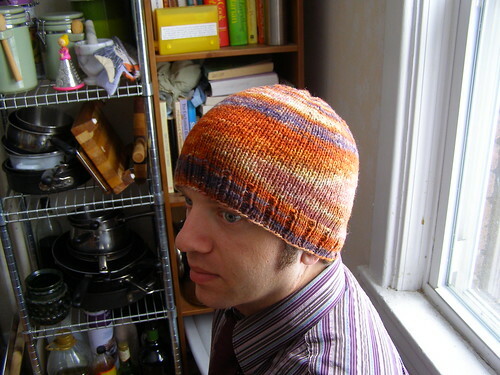 This entry was posted in cosyknitsliterally, hat to head, hats, knitting by cosymakes. Bookmark the permalink. I somehow missed this post but I have to say I love the way that hat flashed! Men are lucky re hats — they tend to be able to get away with most of them — even if they’re dorky, geeky, or not quite the right size. We women need the perfect color, the perfect shape, the perfect size. Dang! On the other hand, don’t see many men looking good in an apron. Now that I think about it, maybe they’re onto something there!